Cast Size: Male: 11 Female: 7 Total Cast Size: 18, can use more, as many as you like. And may be able to be done doubling up more, with a cast of around 12-14. Recordings: The original Broadway gives one the idea pretty well. Film: The London stage production, produced by Harold Fielding and starring Michael Crawford, was filmed and aired. It’s very good, with the staging from the original Broadway production. Awards:The original Broadway was nominated for 10 Tonys and won 3, including one for Best Actor Inn A Musical (Dale). Michael Crawford won the same award for the same role when the show opened in England, at the Oliviers. A show with very specific requirements. It is first and foremost a star vehicle, and secondly, a circus-Musical. The star-vehicle part means this is a show for an extremely gifted actor-singer-dancer/gymnast who can juggle, walk a tightrope, and generally do just about anything you can think of in a circus. And we come to the circus part – the rest of the cast must sing, dance, and do many gymnastic and circus acts. So do this show if you have what it requires. I would bet it’s out of the realm of the possible for High Schools. Some colleges and Universities could try it, simplifying its circus demands as best they can, which won’t be much. Same goes for some adventurous Dinner Theaters, stock companies ready to invest a fair amount of time into staging this complex physical show, professional companies and Producers. It’s best on Broadway or the West End, with a real star in the title role. This is a star-vehicle and a circus-oriented Musical. If you don’t have that sort of ability available, not to mention a Director and Choreographer who’ll understand what to do with it, don’t bother. Also, Barnum is a humbug master, and makes a virtue of lies. He leaves his long-suffering wife for a while for a Swedish blonde and then returns to her, without much ado, and the audience is expected to find it entertaining. (I think this is male wish fulfillment…) If your audience or actors will find such shenanigans offensive, pick another show. STEP RIGHT UP LADIES AND GENTLEMEN, says Barnum, and let me tell you about all the wonders you’re going to see inside my museum! -Museum Song. ACT TWO: OUT ON THE MIDWAY for a Grand Patriotic Parade, when the citizens of Washington salute Jenny Lind as she makes her first appearance in the nations’ capital-Come Follow the Band. BEHIND THE SCENES, BENEATH THE MAKE-UP, as Barnum realizes that being a respectable businessman is not for him, and even his beloved Chairy would have agreed that what he is-and will always be-is The Prince of Humbug. THE MAIN EVENT: THE GREATEST SHOW ON EARTH! James A. Bailey arrives on the scene, and after a selling job that even Barnum would be proud of, convinces Barnum at last to Join the Circus. As always, you may feel free to skip or ignore my opinions and rating. To which I say to you, humbug, balderdash, fiddle-faddle. Ah well…thee is a sucker born every minute. Like almost all of Mr. Coleman’s work, the score is clever, tuneful, even memorable – but somewhat heartless. This is not necessarily a bad thing, it is common to much of the music written for shows from the late 60s forward and can work well, especially for shows that are pure Musical Comedy, where no one buys into the story or love songs. But it isn’t always a good thing, and it isn’t always right for this show. Energy and tempo, which this show has in abundance, does not equate to emotion. Circus-themed Musicals are not unusual. Stop The World – I Want To Get Off, Carnival, The Magic Show, and even Annie Get Your Gun, have strong circus elements in their design and story-telling. I would go so far as to say that Barnum leaned a great deal and borrowed heavily from Stop The World, as the shows share numerous similarities. Stop The World is a better and more interesting show, in my opinion, and with a considerably better score. But the circus theme is a natural fit for Barnum, as P.T. Barnum (of Barnum & Bailey fame) is the father, for all intents, of the modern circus. Presenting his life as a series of circus acts is a fun, inviting idea. And it works a lot of the time, as entertainment. The show is full of gymnastic clowns and Masters of Ceremonies, tight-rope walkers and a very old woman dancing, with complex choreographic patterns relying on circus and dance skills, and all of it feels like…well, showbiz “humbug”, to quote Mr. Barnum. Fun humbug, entertaining, almost uplifting, but not particularly believable or moving. Few shows work harder (or work their performers as hard) to provide entertainment. The show explodes off the stage, fills the aisles, and is a spectacle using relatively few actors who work very hard, harder than almost any show I’ve ever seen. A good production does produce some of the awe, the joy of creation and life, the wonder of Barnum’s own circus and displays, as he put it, The Greatest Show On Earth. And we do receive a sense of how driven a man would need to be to get where P.T. Barnum got. That ain’t hay. And no one works harder in this Musical than the actor playing Barnum himself. This show is really a star vehicle. And he’s playing the life of a historical “star.” Here is the real Barnum with star attraction Tom Thumb, and next to them, Jenny Lind. I think the great man himself would approve of this colorful, loud, fluid Musical offered to the world in his name. And I think companies with access to gymnasts or circus performers, and one fantastically talented all-around performer, should consider it. The music is aggressive, syncopated, energized. Your Musical Director/pianist will need to play quite well, and understand simple theater forms as well as circus music. (I once actually had the opportunity to play piano for the L.A. Circus, and I want to say here and now it was HARD! That music was HARD TO PLAY! It’s serious musician-stuff. So is this show. But as this Musical invites us to, it was certainly fun to run away with the circus…for one afternoon.) The show needs to played with precision rather than heart, skill rather than commitment. 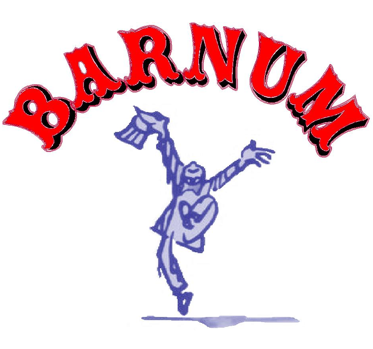 Barnum – Lyric Baritone, pleasant voice, decent belt, very very good with patter verses! Needs extraordinary breath control for what he needs to do. Charity – Mezzo with a reasonably trained sound to her voice, warm when being strict, strict when being warm. Ringmaster – Speaking role, but sings playing various parts in Barnum’s life. Baritone, beautiful speaking voice, ringing and clear which should carry into his singing. Jenny Lind – A thoroughly legit operatic soprano, trained, with beautiful high notes. Joice Heth – Alto with a terrific, growling belt. Tom Thumb – Tenor, clear ringing Musical Comedy ingenue-type voice. Amos Scudder – Spoken role. Ensemble – Well, singing will not be the priority. That said, they must sing well enough to create that big Broadway choral sound, and harmonize decently. A show this reliant on energy and physical execution demands expert choreography, or at least expert movement, which is more the case for this show. (This isn’t actually a “dance show.) But the integration of movement with spoken action also makes another demand of this show – that the Director and Choreographer be one person, if possible, as it was for the original production. If this is not possible, then I can tell you that the Choreographer will need to work very closely with the Director in pre-rehearsals, designing the show to within an inch of it’s life, and perhaps in cahoots with a third collaborator, an expert in circus skills. In the end, the result must seem seamless, as if the dance, staging, and circus acrobatics and routines all came form a single source – the fertile mind of P.T. Barnum. This show is all about movement, kinetics, and stuff that may or may not be actual dance. A Choreographer is likely to have a hand in almost the entire score, including “There Is A Sucker Born Ev’ry Minute”, “Thank God I’m Old”, “One Brick At A Time”, “Museum Song”, “I Like Your Style”, “Bigger Isn’t Better”, “Out There”, “Come Follow The Band”, “Black And White”, and “Join The Circus”. They will all have circus elements in them, from marching bands to passing giant elephants (a massive puppet, very cleverly done in the original and a precursor to The Lion King, as it has been so successfully done on Broadway). “Thank God I’m Old” is sung by “the oldest woman on Earth,” so when she starts singing and high-kicking, it’s, well, intended to be amusing but actually I find it rather gruesome. I kept worrying if she was about to have a heart attack and become the ex-oldest woman on Earth. I think you should go out of your way, while Barnum is pushing her to perform, to have him show some limited kindness and concern for her. It’s too early in the show for him to be despicable, and hard to recover from if he is. One way to help the number is to costume and be-wig the actress obviously, so we’re always reminded this is a show, this is an actress, young, playing a very old woman. Another thing you might try along this vein is to have Barnum and her really dance, really high-kick, and then realize that their humbuggery is being unmasked, and suddenly both of them get very old for “the rubes.” Could be funny and appropriate, and help us accept the number. “One Brick At A Time” became, in the original, a very complex staging involving some ten actors throwing “bricks” (which I assume were very light weight and not bricks) to each other in a pattern hard to at first grasp, over their heads and through their legs and whatever. It’s cute, but I never for a moment bought in that they built a museum in 48 hours. What’s more, I thought later in the show (a year later) when the museum burnt down, “serves you right for building a museum in two days with the help of a bunch of clowns.” Ah, well. Keep it fun and kinetic, but don’t get into much real dance,. “Museum Song” focuses almost entirely on Barnum while crowds move through his museum. Could be staged with a little dance for the eager crowds. Could also as easily not be, and then the number would be handled by the Director. “I Like Your Style” involves Barnum and his wife doing a little ballroom-type dancing. She has a lot of movement in the show, and should dance. “Out There” ends Act I. A big number that must remain focused on Barnum, which is easy because he has all the action. Some choreography may be needed, but most likely it will be staged by the Director. It’s all about Barnum’s mental and emotional gymnastics, ending in his death-defying walk across the length of the stage via tightrope to his newest female interest, Jenny Lind. Keep this focused on him, don’t allow random movement to distract. “Come Follow The Band” uses a small circus band which I saw come up the center aisle to start the Act, and really loved the idea. (I do stuff like that as a Director all the time. These are Musicals! To hell with the fourth wall!) It’s a full company (almost) rousing invitation to the audience to come to the circus. (we’ll have another in 40 minutes, with “Join The Circus”. If Coleman had not been the producer of the show as well as the composer, there might have been someone around with the authority to insist that one of these numbers be about something else, they do not both belong in the same show, much less the same act.) Barnum’s show-biz razzamatazz has been more than firmly established by this time, so this number really feels unnecessary. BUT you can’t cut it, it opens the act. And somehow, it should be different, special, a reason for the audience to commit again to the show. Barnum by this time has been having a six-month affair with Jenny Lind. Perhaps, in mime/circus/dance, we could see how this progressed and deteriorated as he started to miss his wife – which does come up very quickly and somewhat unexpectedly in the next scene. The “band” we’re following is the music Barnum hears in his mind – the need to create his life and experience everything. It would provide this number a focus, and a reason to exist in the show. It would also help set up the next scene. “Black and White” is the promise Barnum makes to his wife when he returns to her – to see the world in non-colors, to be a safe and less-creative man for her. He loves her dearly to make this promise, and we do admire him for it – but it’s clearly wrong for him. And it starts to sink him in his newest venture – to be elected to public office. It’s funny that the number is a heavy, belted, up-beat blues/gospel piece, because, well, why? Since it is, I think the singer (who played the old Black woman who sang “Thank God I’m Old”, and who now sings this song which is blues/gospel because…there’s no stereotyping going on here, is there?!) should approach this song reflecting Barnum’s inner life – frustrated, bored, hands tied. It’s usually sung big and bold, I think as a way to try to overwhelm the audience with voice, so they won’t look at the fact that the music for this song is rather inappropriate to the moment. Better to tie her right into Barnum’s condition and keep him the focus. Could slow the tempo down, too, make it more of a blues lament in the Billie Holliday school, that would probably work much better. The closing number, “Join The Circus” is, well, an invitation to do something we’ve now been invited to do many times in the course of the evening. I noticed that in the taped performance Michael Crawford did, and though he was sensational and the audience clearly adored him, the audience did not stand up after this number or during the curtain call. I think this number is the culprit, in part. There’s no hiding what it’s about, I guess. I like that Layton had his actors go into the aisles and play much of the number there, as if the circus had come to the audience. I think he sensed there’s really nowhere to go with the number that we haven’t already gone, so he saved this card to play here at the end of the show. Again, somehow this number needs to be about Barnum and not the circus. He’s old, dying. At he end he almost wanders off in the midst of all the circus noise, off out of the big tent of life. This metaphor should be exploited big time for this number. The circus should swirl around him, touching him, pulling gently at his clothes to stay, to keep going, and he finally does surrender and departs, leaving them there. It would have been GREAT if the number had STOPPED WHEN HE DIED, all the actors/clowns standing around suddenly, forlorn, without direction, their mastermind and reason for existence gone. Then, pow, boom, shot from a cannon, he returns to lead us through the finale! That’s how I’d end this show. It would keep Barnum as the focus and again, give the number more of a reason to exist. I believe changing the focus of the various songs I’ve commented on above will also help warm up the show and move the audience, something the show should do but does not, usually. This is a very tough job, and the Choreographer will need some circus skills chops, or will need to work closely with someone who has them. No job for a beginner! Barnum – What a role! In his late 20s-late 40s as an actor. Charismatic in the extreme, must be immediately likeable. A boyish quality would not hurt, a “Peter Pan” sort of “I won’t grow up” quality that men will identify with and women find appealing. Should be a versatile actor, able to move the emotion of the show at his whim. High-energy, physically strong and very agile, does many circus tricks like walking a tightrope (for real), juggling, others. Must dance well. Must sing quite well. There are very few people who can play this part! Cast for acting, type, dance and acrobatics, voice – but all must be strong. Definitely a star role. Charity – Around Barnum’s age. A lovely woman with a firm but attractive countenance, a fine mind and “serious” disposition that barely masks a playful soul fully capable of understanding and appreciating her husband. Somewhat puritanical, but able to admire, perhaps grudgingly, those who are not. Eminently practical and capable. But there is that in her which finds Barnum and all his hooey “beautiful.” Cast for acting, type, vpoice, dance – must do all well. Needs to juggle three balls. Ringmaster – In his 20s-40s. Plays many roles, including Bailey, who co-invented the circus. Charismatic, with a sensational baritone speaking voice. A reasonably versatile actor who will play numerous roles. (In fact, I think he could play more than he does, and cut the cast size down a bit. I also think his changes into and out of characters could be open, in front of the audience. He could play Scudder, and other roles.) Must be good at the circus stuff. Cast for acting, voice, type, movement (dance), gymnastics. 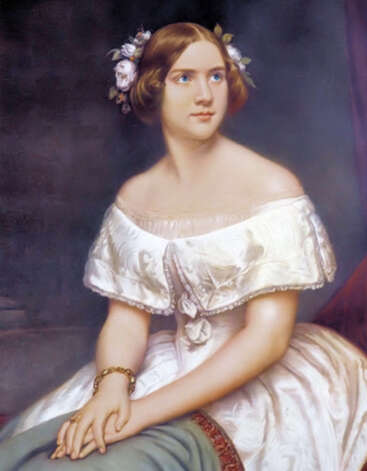 Jenny Lind – The Swedish Nightingale, beautiful, blonde, voluptuous, flirtatious, worldly – all the things Charity is not. Somewhat romantic in a practical way. Must do the Swedish accent very well, she barely speaks English. Cast for voice first – must be legit. Then type, acting. Joice Heth – And other roles. A Black actress mid 20s-40s to play the oldest woman on Earth, and later a blues singer. Good comic timing, great belt voice. Cast for voice, type, acting, dance – must be strong in every area. Tom Thumb – 20s-50s, any age in there, boyish, energetic, not unusual in size. Cast for voice, acting, dance. Amos Scudder – 30s-40s, uptight, overly-emotional. Cast for acting, type, and should double in ensemble. Ensemble – 20s-30s. Must sing, dance, juggle, do some circus skill, gymnastics. Vivacious, charismatic. Cast for circus-like skills first, then voice, dance and movement. The show was built for a unit set. It will not sustain well any real set changes, or anything that slows it in its kinetic path. The set is a circus ring in a circus tent, so lots of colorful drapes and such. Not a difficult set to do well, and it allows a creative design to happen. The rigging for trapeze and tightrope walking should be designed in, and must be worked with a pro who specializes in circus-type rigging. There are variations. The Ladies lunch can be a set of screen set behind a table, danced in (and choreographed). The steps for City Hall can be a set of steps rolled in, broad and wide, but on wheels that do lock. These could be placed behind the back of the ring (which would need to open up somehow to allow the steps in). Banners announcing where we are, designed like circus banners, could help the audience know what location we’re in while permitting almost no change in the set. These could be walked in and freestanding, or flown in. This set might be designed by someone without tons of experience. Circus stuff, circa mid 1880s. Barnum dresses in a period suit or vest, his wife in period dresses, Jenny Lind in period gowns (with revealing decolletage). The characters who enter and exit Barnum’s life could be dressed in period wear, perhaps a bit exaggerated. When an actor plays multiple characters, they will need to be able to quickly throw on over their unit circus costume appropriate wear. Bailey is often costumed as “all-American”, a stars-and-stripes vest and hat, that sort of thing. The old woman needs a wig, a long shawl. Just pieces that can quickly be added on and are reasonably theatrical. Everyone but Barnum and his wife could be in circus attire generally, and then throw on period hats, cloaks, jackets, shawls, what have you as needed. And you will need quite a few of these. Generally, though, I think that the circus motif should carry through all the costuming except for Barnum and Charity. Even Jenny Lind can have circus performer undergarments, revealed as Barnum walks across the tightrope toward her, as they did in the West End production. If you go heavily the circus route, which you almost have to, you may need to build most of your costumes. The period wear can all be rented, and some of it purchased. But the circus stuff will be harder to rent. And as you costume the show, bear in mind that all the actors will be singing, dancing, and doing wild gymnastics! The clothes must give and breathe, so pieces purchased (and even rented) may need to be adapted. Not a job for a novice. Start early as possible, work closely with the Director. Lots of props! Phony bricks to build the museum, various circus paraphernalia, a lion tamer whip, a gift-wrapped box from Barnum to his wife, scarves for magic tricks (slight of hand), many many other gags and routines requiring props! You’ll need an expert prop master capable of collecting and even building the needed props. A big job! Must be expert! Very theatrical, saturated colors a must as he sings about “The Colors Of My Life”. Spotlights a must for various numbers like “Thank God I’m Old”, and “Bigger Isn’t Better”, where performers perform for “audiences” within the show. Lighting will be used for ambiance (a circus), to direct attention, to create moods and even effects. This is a huge job for an experienced and creative Lighting Designer working closely with a clever Director. You may wish to drop the grid into view, so the audience can see the instruments and they become a part of the set. It’s appropriate for a circus. Well, much as I dislike it, you’ll be creating clown make-up. Study up on Barnum & Bailey’s clown school to see how this is done, and look at many photos from the period of the circus and of clowns. Make up for the ensemble should be theatrical and fun, over-the-top, indicative of a self-awareness that this is a show. Barnum and Charity should be made-up unobtrusively. Jenny Lind is made up expertly, in the then-current European manner for women of her station. Not a job for a novice. It’s unlikely, due to the unusual requirements of this show, that it’s going to receive boatloads of productions. That big top is likely to be pretty lonely, which makes it a strong choice if you’re actually in a position to do it! I recently watched the recording of Michael Crawford doing the show on the West End. He was absolutely great, and it forced me to reassess my opinion of the man, based on his appearances in the film Hello, Dolly, and in Phantom of the Opera. Barnum was the right role for him, the other pieces did not allow him to show off his remarkable range of skills, and his likeability, both through the roof. It also made it painfully clear that this show absolutely requires a “star” of great ability and charm to play the role, the type of performer that just doesn’t show up very often. Anyway, I really watched to see if the circus stuff that makes the show hard to produce could be eliminated – stuff like tightrope walking, walking on stilts and such. If it can be reduced, it can’t be by much. Bramble and his collaborators carefully integrated into the actual story-telling these routines derived from circus life, acrobatic, gymnastic, very hard to do. They figure directly into the story, and frankly, given the innate unlikeability of a man like Barnum, and the coolness overall of the score, this show needs to go to the circus. I do believe that so long as there is a star out there willing to work his tail off to play this role, and who can do the sort of things demanded of the role, there’s always a chance the show will be done again on a professional level. Another show this one reminds me of is Mack And Mabel (a show that is not as good as this one, or as interesting), and indeed, I think Jerry Herman could have almost written this show (though he would not have had the overall expertise for the lyrics). That show, like Stop The World, has a very unlikeable lead male role that largely carries the show. He also fools around (all these men do that… it’s shameful! ), comes back to the girl, and is expected to charm us to the extent that we buy in. It’s a tough sell. The actor simply has to be charming as hell to pull it off. I’m not sure, but I suspect that this show could be done with an even smaller cast, of about 8-10. It would lose some of the spectacle, though, and you’re obligated to have enough musicians to create that circus sound, so I don’t know how small the show can really get. It has simple sets, overall, except for the circus rigging – which must be designed and executed only by experts. So the show could be a relatively inexpensive show to do. Could be. In the end, this show is pretty derivative of earlier shows, and really needs those two elements – the circus motif and the great star in the lead – to work. The show is flawed, but if you read what I suggested to the Choreographer, I think it can be shaped to work much better using the existing material, and that the show could become more emotionally satisfying an experience for the audience. Could even make it’s way up to a two-star show, with the right production.